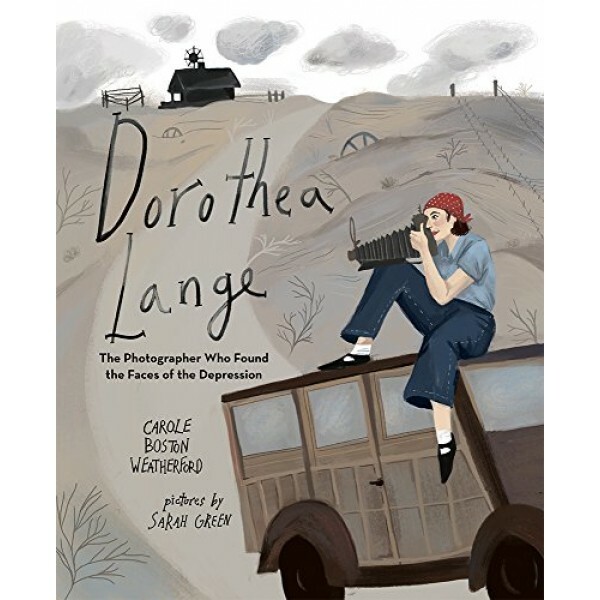 Before she raised her lens to take her most iconic photo, Dorothea Lange took photos of the downtrodden, from bankers in once-fine suits waiting in breadlines, to former slaves, to the homeless sleeping on sidewalks. A case of polio had left her with a limp and sympathetic to those less fortunate. Traveling across the United States, documenting with her camera and her fieldbook those most affected by the stock market crash, she found the face of the Great Depression. 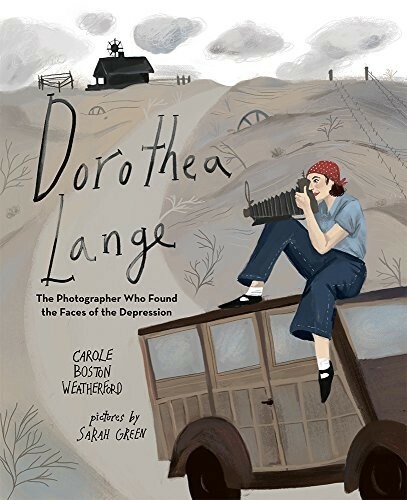 In this picture book biography, Carole Boston Weatherford, with her lyrical prose, captures the spirit of the influential photographer.